What is it about abandoned places, frozen in time, that makes them seem more real than any other representation of history we encounter? From individual structures to entire communities, abandonments large and small inspire the imagination and tell us things about the past in a visceral way. 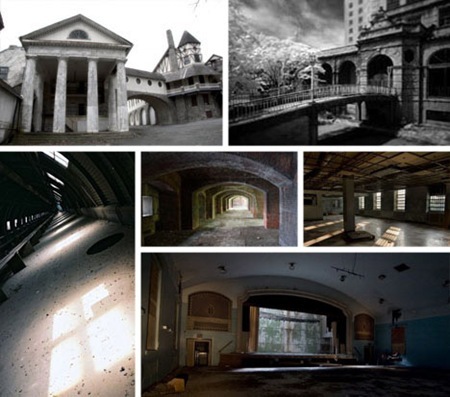 Capturing moments in time, deserted cities, towns, buildings and other abandoned property can be powerfully evocative. Many people break laws, trespass on private property and risk life and limb to explore and photograph abandoned places. 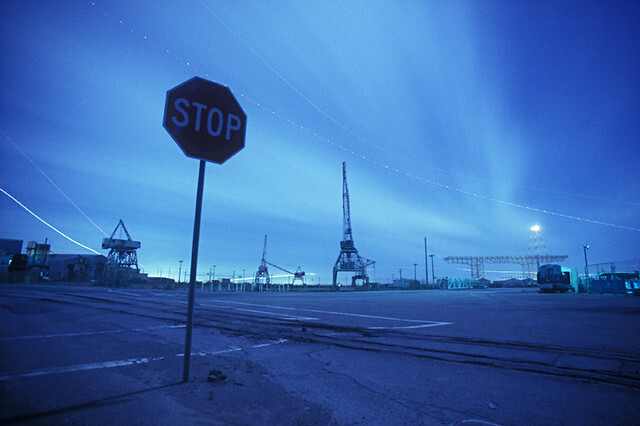 In 2004, I was granted night access to the long forgotten and neglected, Hunters Point, Naval Shipyard. Over the course of 5 consecutive full moons I photographed in every corner of the nearly 500 acre facility. Originally opened as a commercial shipyard in 1870, the land was seized by the US military in 1942 and transformed into a vital repair base during WWII. The Navy closed the base in 1974 and most of the area has remained uninhabited ever since. Stories of widespread radioactive contamination, it’s location in one of the most crime-ridden neighborhoods in San Francisco and many locked and patroled gates have kept the base out of the public eye for decades. There are dozens of abandoned buildings. Warehouses, offices and drydock pumphouses, some dating all the way back to 1870. These are some of the oldest buildings in San Francisco, just abandoned and forgotten. Giant gantry cranes stand rusting alongside the broken and flooded drydocks. On the hill above the dockyards is a residential neighborhood. Built in the 1920s and 30s and seized by the Navy for officers housing, it has also been abandoned for 30 years. The streets look like a post apocalyptic movie set. The entire relic strewn base is just minutes from the downtown of one of the west coast’s largest cities.